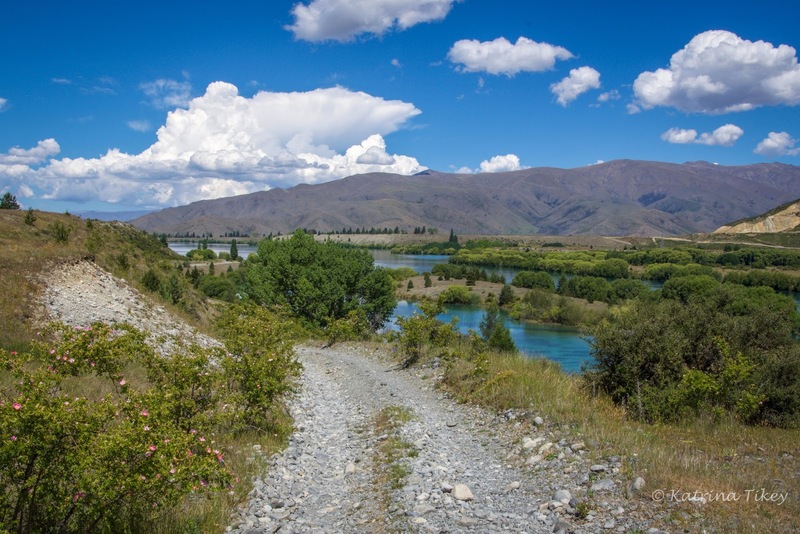 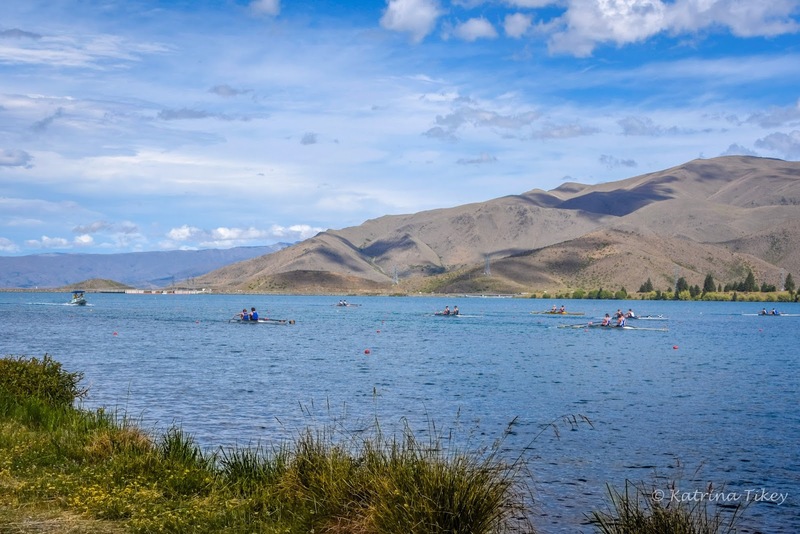 Lake Ruataniwha is a picturesque turquoise man-made lake located in the Mackenzie Basin - just 2 kilomtres south of Twizel. 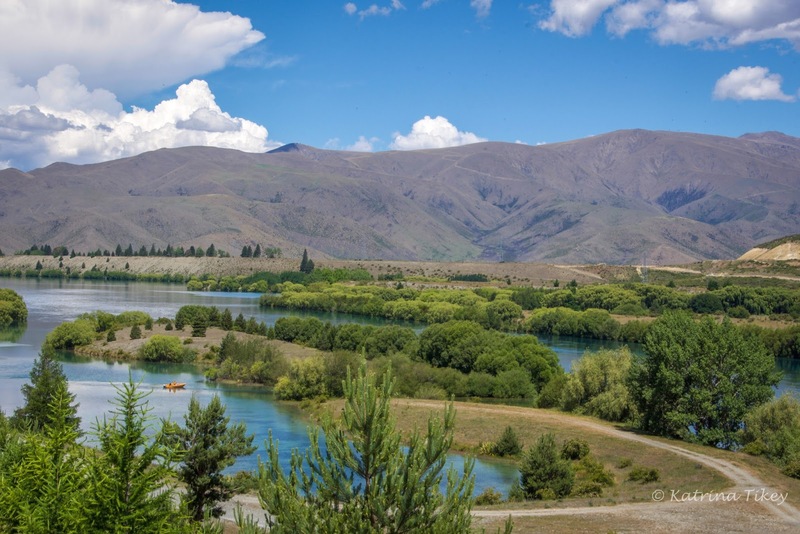 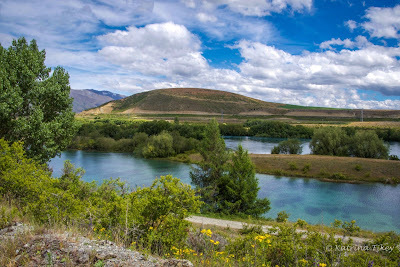 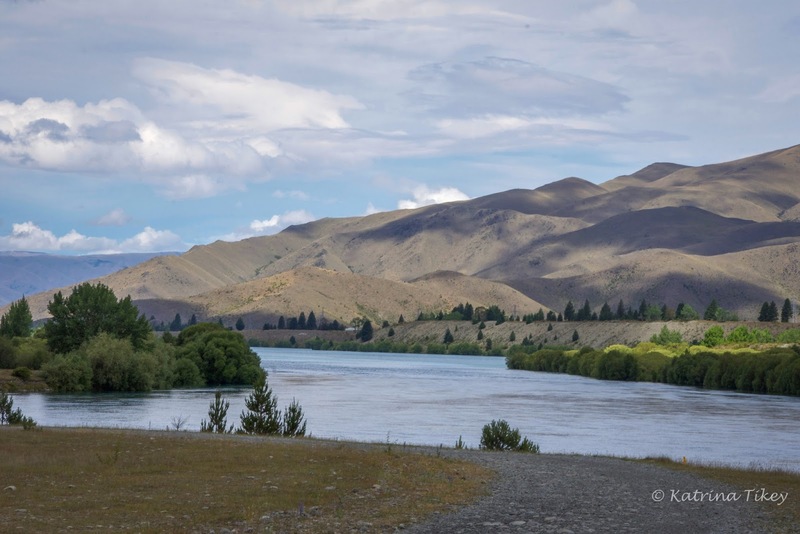 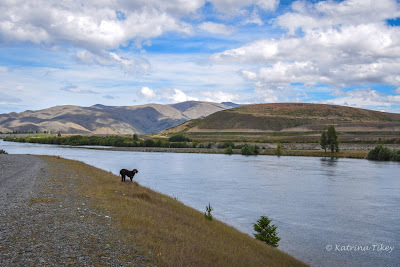 This artificial lake was formed as part of the Waitaki hydroelectric project. 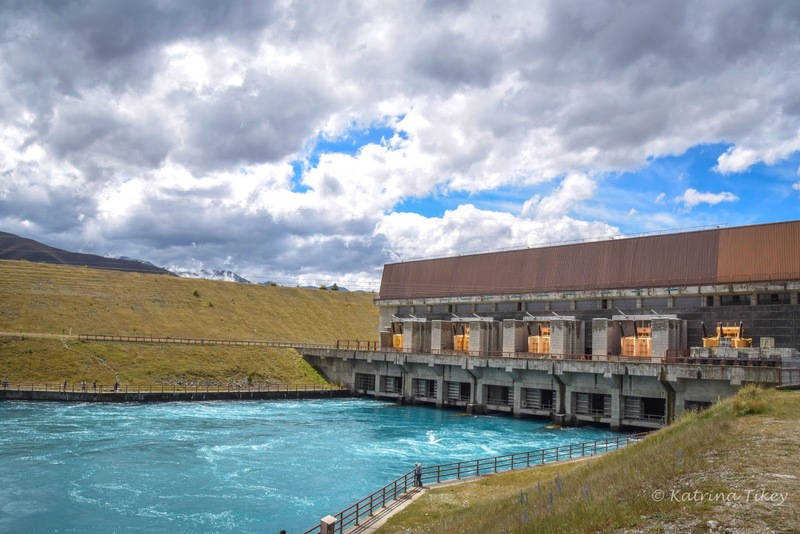 Lake Ruataniwha is fed from Ohau A power station's output. 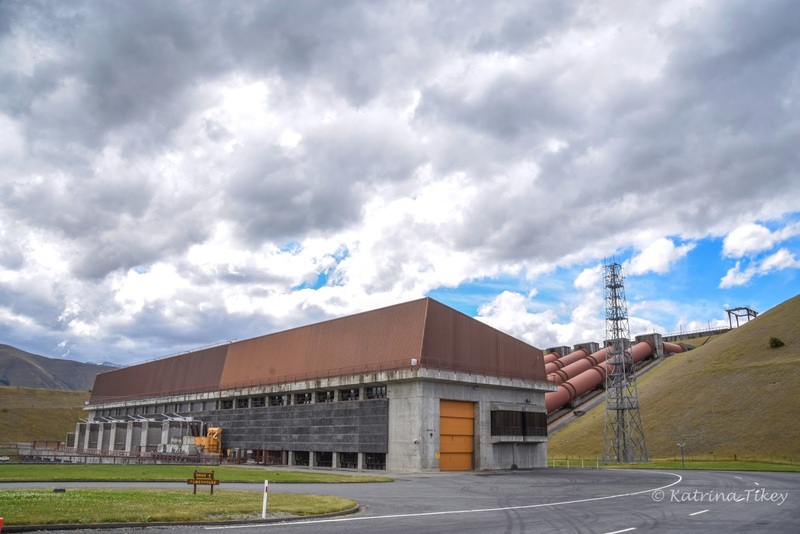 Ohau A power station is operated by Meridan Energy. 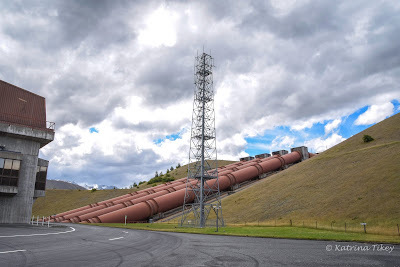 The penstocks to The Ohau A power station are fed with water from Lake Ohau and Lake Pukaki along man-made canals. The water spills into the artificial Lake Ruataniwha. 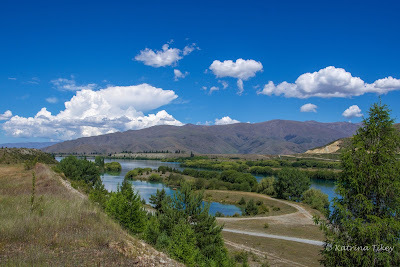 The canal leading away from the power station is popular for fishing. Here's the canal flowing into the head of Lake Ruataniwha. Lake Ruataniwhai was named after the large sheep station 'Ruataniwha Station' in the area. The 4.5 kilometre lake has a world standard rowing course and is the main rowing venue in New Zealand. 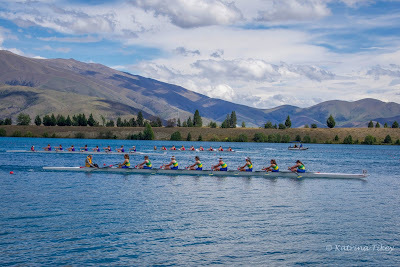 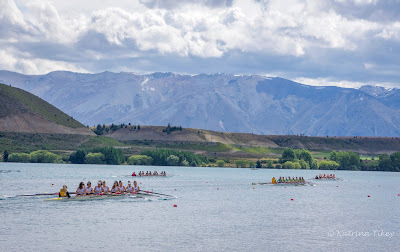 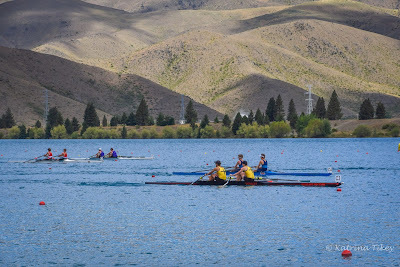 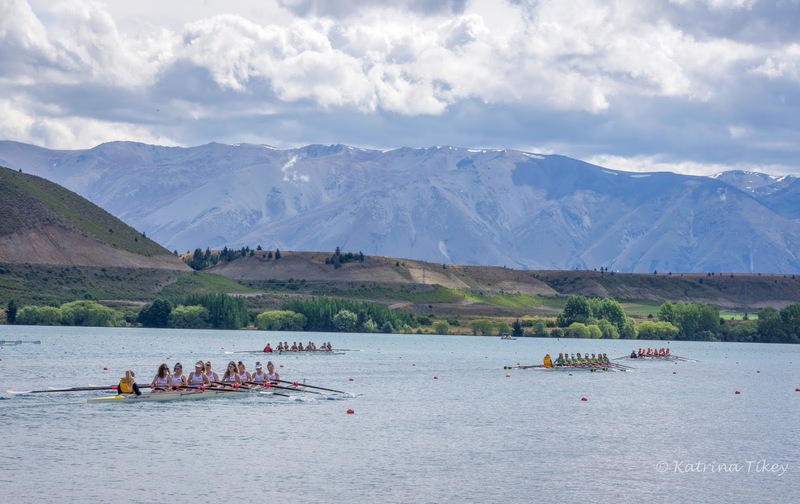 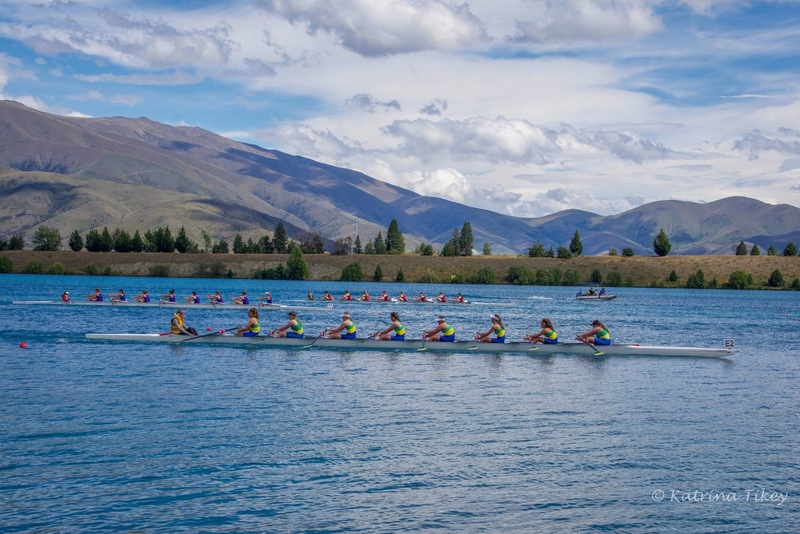 New Zealand rowing championships are held every second year, alternating with the national secondary school champs. 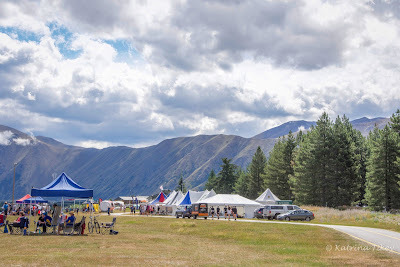 While we were there the Meridan Otago Secondary School Championships were being held. Cars and camper vans were parked alongside the lake - great entertainment and what a view! 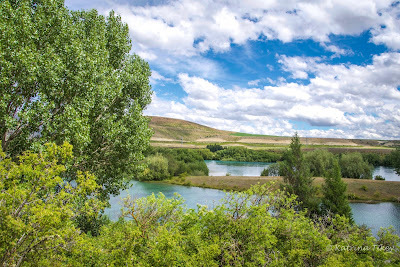 Further along the road is a freedom camping spot, overlooking the lake. Self contained vehicles can stay a max of 3 consecutive nights and no camping 20 metres from the lakeshore. 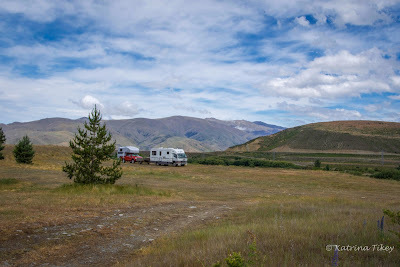 Also, no camping is allowed between 23rd Dec to 2nd Monday in January. 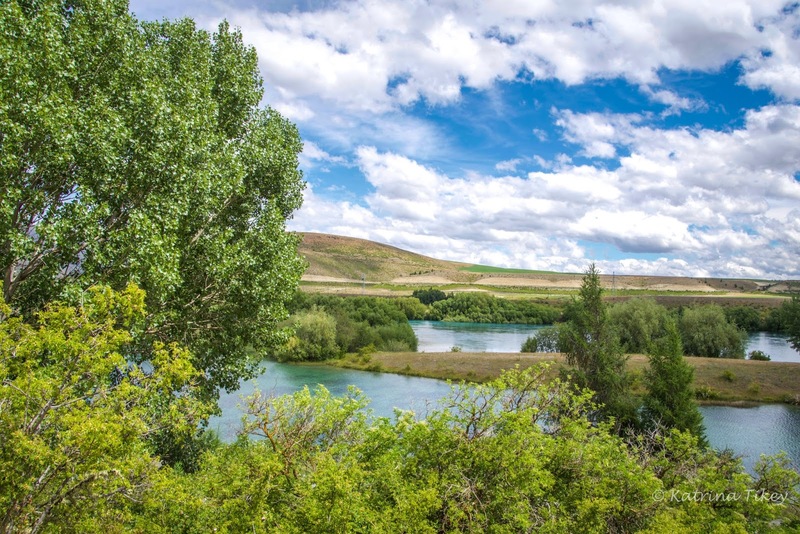 From the camping area, which is on the top of a ledge, there's an easy walk down a narrow, gravel road to the lake. 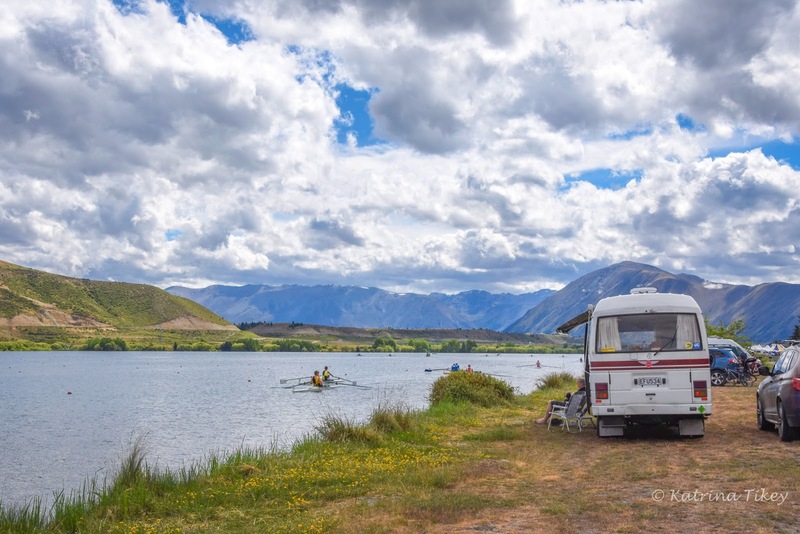 There's lots of space for all size campers. The Ohau A Power station is only a short distance further up the road and the canal leading from it is popular for fishing.